We were introduced to the owners of this 3 storey Victorian property in Hemel Hempstead by their architect. The kitchen was the last part of the house requiring renovation. It was situated on the ground floor behind an old plastic conservatory. 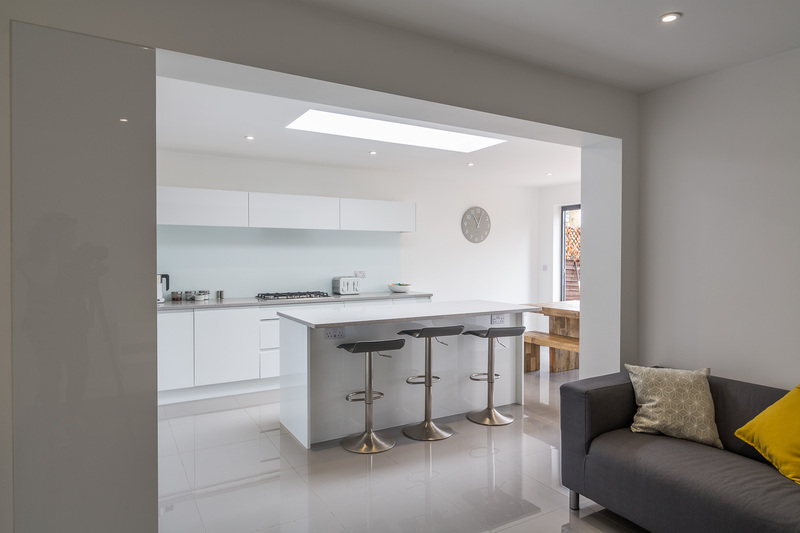 We removed the old conservatory, ripped out the existing kitchen and built a single storey corner extension to the architect’s specification with bi fold doors for ease of access to the garden and an atrium to ensure plenty of natural daylight. We extended all the existing wiring and plumbing throughout. 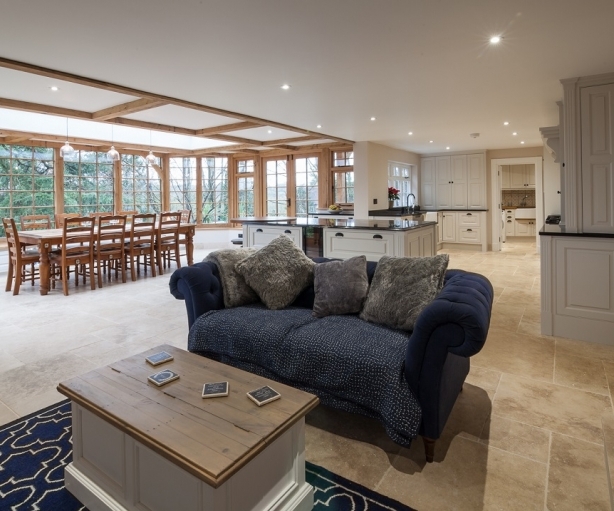 The entire kitchen design was created with the client and handmade/crafted by our specialist carpenters. The kitchen units are finished in high gloss with grey galaxy quartz surfaces and a ceramic floor was laid throughout. The last part of the job entailed laying a flush porcelain patio – matching the levels from inside the house with the outside.